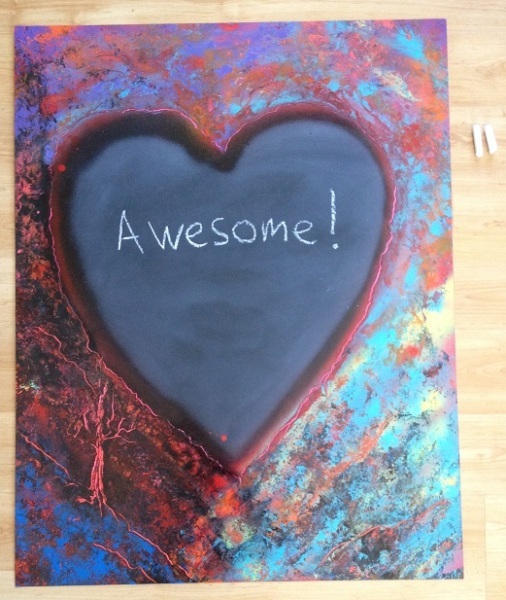 SKU: chalkboardheartspraypainting. Category: Spray Paint Art. Tags: chalk, chalkboard, heart, paint, spray paint art, tree, valentine, valentines day. I painted the heart in this painting with chalkboard paint! That means you can write or draw anything you want! It comes with two small pieces of chalk.